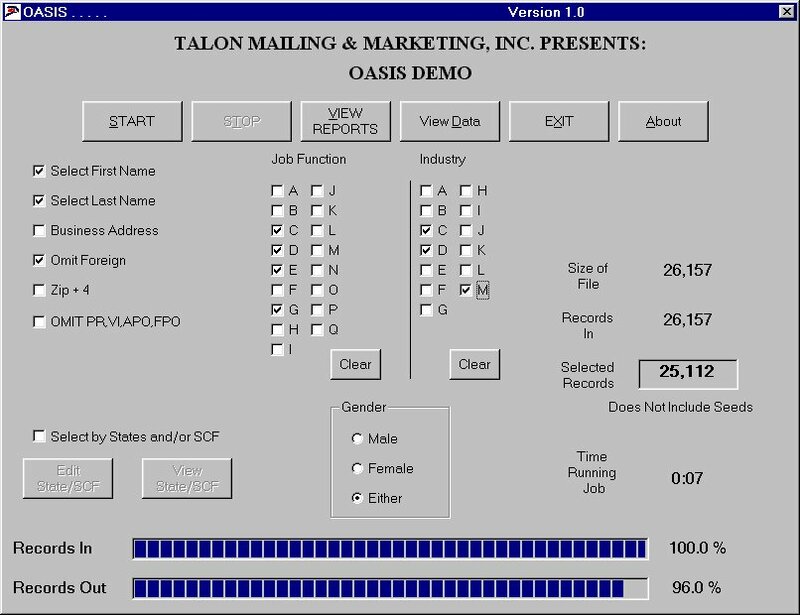 Welcome to the Talon Mailing & Marketing July 2016 Newsletter. Here are five important tips to help you get the most out of your marketing promotions. Are sales flat? If any of the six items below are happening in your organization, it's time to invest more in marketing. Should you invest more money into marketing? If you are like many executives out there, you’re probably thinking, “All marketing does is spend money.” Contrary to popular belief, marketing is more than the “make it pretty” department and it requires strategic investments. There are a few signs it’s time for your organization to invest in marketing. What rank means in this case is how your company performs among your competitors on search engines like Google. If you’re finding yourself below your competitors in search results, it could mean that they are investing in SEO. They could be hiring content experts to create superior copy or investing in PPC advertising in conjunction with a better keyword targeting strategy. Even if this isn’t the case, you can get your rank back by focusing your investments on content marketing and SEO services. This is the starting line. Do you have a marketing plan in place? If you hesitate for even one second, odds are you don’t or it is underdeveloped and not embraced and supported throughout the company. It’s not unusual for a company to not know where to begin or have one-off goals that do not have the bigger picture in mind. If you are stuck in these stages it is time you invest in creating a marketing plan that will progress you through the Revenue Marketing Journey™. I don’t mean you aren’t doing anything; I mean you’re set in your ways and only sending out that basic once a month newsletter with every company update you can squeeze in and blasting it to your entire database. Alternatively, you come up with a single email to send on a topic and again, send it to your entire database. It’s time to look into email personalization, A/B testing, and the creation of targeted messages around your prospects’ actions. You should be making informed decisions based on your personas and sending them information that is relevant to their interests and activities. Emails are no longer one size fits all; they should be personalized, targeted and optimized. If this is something you or your team doesn’t feel capable of implementing on your own, it’s time to invest in a partner who can train your team or tackle it for you. 4. You don’t have a company blog or it is rarely updated. It interesting how many companies cringe at the idea of having a blog. Who is going to update it, what are we going to say, why do we need this? Blogging provides an ongoing stream of updates that tells Google your website is current and tells your website visitors you are an expert in your industry. Your content strategy should include a blog strategy. You don’t need to update it every day, or even every week; determine a cadence that works for your company’s resource availability and invest the time and commitment to stick to it. You’ll be seen as a thought leader in no time. Bounce rate, call-to-action, click through, and impressions are key terms in the evolving marketing world. These are terms used daily when reporting and planning your past, current and future email campaigns. You need to be capturing this data and analyzing it. If you are not using an adequate marketing platform to track this, it’s time you invest in a new platform such as Marketo or Oracle Marketing Cloud. A huge part to marketing’s success is the alignment of sales and marketing. As marketing channels grow and evolve, just like your marketing team, synergy ensures everyone is on the same page. Investing in an outside partner on this process can help take the emotions out of it. An unbiased perspective has one goal in mind: sales and marketing alignment. A common mistake companies make is continuing their marketing like they always have while the rest of the industry advances and grows. This can only cut it for so long before you begin to fall behind your competitors and your workers begin to feel overwhelmed. If any one of the above items are true for your organization, it is time to invest in marketing. Have you set marketing goals for your small business? Setting goals is important for maintaining focus so you can grow your business. To that end, the following details three marketing goals every small business should pursue. Face-to-face networking is one of the most powerful ways to get your name (and your brand) in front of targeted prospects. It helps establish trust, earn credibility, and leads to word-of-mouth referrals – the best kind of advertising. Look for local business networking groups and seek out industry trade shows, conferences, and seminars. If you already attend such events, find new events to explore. Think outside the box and attend events your customers will be at, not just events in your own industry. You can also join civic organizations and non-profit groups – or simply volunteer for a good cause – to increase your networking reach. Always be sure to have business cards on-hand to give to new connections. No matter what networking events you attend, don’t go in looking to make a sale. Instead, add value to others’ lives and make yourself part of the conversation. If you impress prospects, the follow-up calls will take care of themselves. 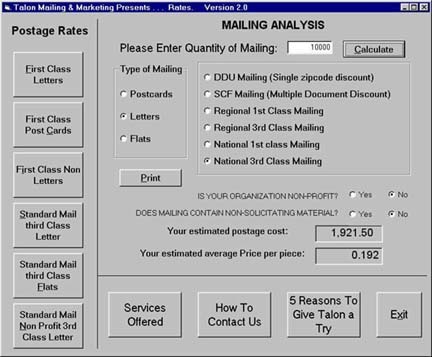 Postage prices have caused some small businesses to shy away from direct-mail marketing, but you have to remember every direct-mailer is an investment that carries the expectation of return. That is to say, a good direct-mail campaign is designed to make money, not lose it. Though there is no exact science, you can follow proven direct-mail best practices to exponentially increase your chances of success: a well-targeted audience, a can’t-miss special offer, and a compelling call to action, for example. Not sure what type of direct-mail campaign to launch? Postcards often yield good response rates and are the cheapest type of direct-mailer to print and send, which makes them an excellent choice for budget-minded small businesses. Your small business probably has a Facebook page by now (if not, get one), but do you really work it to your advantage? If you’re just posting your special offers every week, you’re not engaging your audience and you’re largely wasting your efforts. Instead of focusing on selling, focus on building relationships. Add value to your Facebook fans’ lives with interesting and relevant content. Post pictures and encourage follower involvement. Host contests and be part of the conversation – be one of your customers, instead of the company trying to sell to them. If you don’t know social media marketing best practices, either learn them or hire someone who does. Then, get serious about using Facebook and other social media platforms (such as Twitter and Pinterest) to grow your business. Of course, these aren’t the only ways you can grow your business, but it’s fair to say many small business fail to take advantage of proven marketing strategies. Set goals for your marketing now to maintain focus and earn more customers and more sales. Wednesday July 20th, 2016. Yankees vs. Orioles 7:05 PM. spark.adobe.com - A free website by adobe to turn your ideas into impactful social graphics, web stories, and animated videos - in minutes. soonforever.co - This is your everyday bucket list and the best way to keep track of all the things you want to do. observer.com - A sophisticated take on news, culture, politics & luxury. smartnews.com - The fastest, most efficient way to get all your news now. Your news in one minute. Zero loading time, a beautiful interface. nameless.tv - A video platform that broadcasts the best videos on the web allowing viewers to watch and chat in real-time.